The A13 OLinuXino-MICRO has JTAG support brought out to an unpopulated 6-pin header next to the headphone jack. Solder a piece of header strip and it's ready to go. The table below shows the pinout for the proprietary JTAG header on the board. All pins are clearly silkscreened on the bottom of the board. 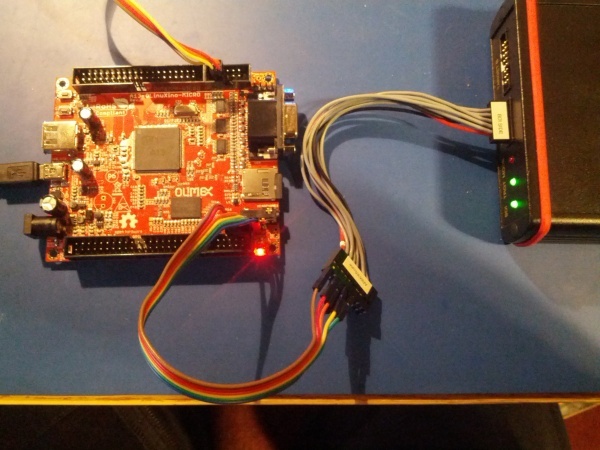 The A13 OLinuXino-MICRO BDI config file can be used with a BDI configured with the ARM11/Cortex-An firmware and the standard BDI ARM/Xscale 20-pin JTAG cable. 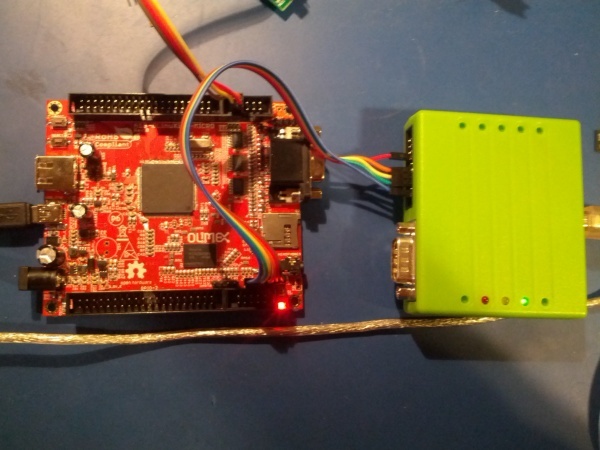 The A13 OLinuXino OpenOCD config file can be used with a Flyswatter, OpenOCD, and the ARM 20-pin JTAG on the Flyswatter 2. The device doesn't have internal storage and boots from the SD-card. The second and third stage loader (SPL and U-Boot) are loaded from the start of the MMC (not on a file system). The default configuration is to create two partitions the first is a FAT formatted one where u-boot will load files from and the second one probably a ext2 partition. But given the bootloaders are not on the FAT you need to reserve some space at the start (I leave 2048 512 byte blokcs at the start as this is the default fdisk offers). This page was last edited on 14 May 2013, at 13:13.